Showreel 2015 - Jade Alexander from Little Jade Productions on Vimeo. 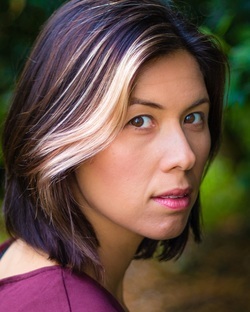 Jade Alexander is a professional actor and producer of mixed heritage background (Mongolian Chinese/Caucasian). She made her debut at 8 years old in a television miniseries and has been acting ever since. Since graduating from the Actors College of Theatre and Television in 2006 she has worked on television, feature & short films and theatre in the US, Australia and now the UK. Jade has worked alongside many well known creatives such as DOP Hamish Doyne Ditmass (Mamma Mia & The Kings Speech), actor Christian Cooke (Magic City), DOP Ross Emery (The Matrix), DOP Steve Lawes (Sherlock), VFX Artist Stuart Penn (Oscar Winner for Gravity) and RSA director Barney Cokeliss. You can see Jade starring in SPARKS & EMBERS (cinemas UK 2015), and Senia in DOOMSDAY. She is also in the highly anticipated upcoming film WESTWOOD MURDERS (2016). Jade also produces commercials, promos and feature films alongside acting. She is trained in stage combat, martial arts, and is a musician.